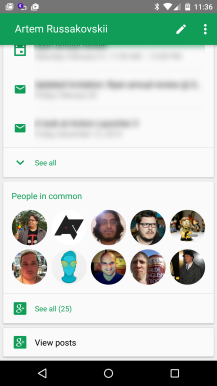 You might expect taking Hangouts all the way from v2.5 to v3.0 would come with some big changes, but then you'd be wrong. 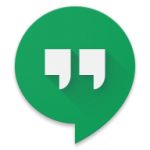 While there are plenty of things that could be fixed in Hangouts, Google has just started pushing out the 3.0 update with only a tweaks. 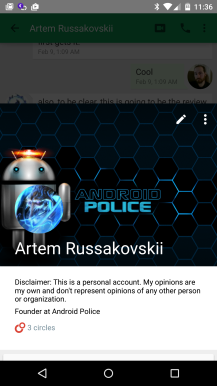 There's more going on than it may seem at first, but a major update this is not. We're looking at mostly small tweaks this time. The snooze notifications option has moved to the top of the nav drawer and the accent color used for checkboxes is a minty green now. The snooze notification popup is material-themed now instead of holo. Long-pressing on a message also has a new option in the popup to view the sender's profile. The volume bug has been squashed, allowing you to change the ringer volume when the message screen is open. 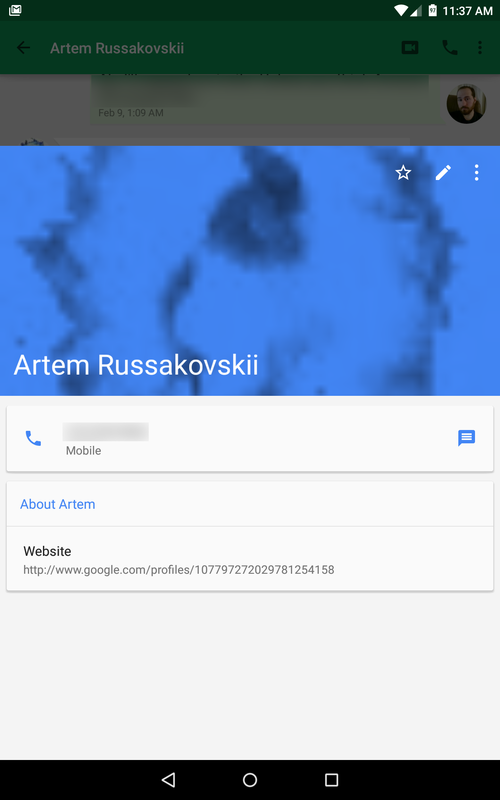 The big change appears to be the updated contact card, which pulls profile images, photos, recent interactions, and other data from Google+. It feels a bit like the new Google Contacts preview. You can see the updated card above and the rather boring system one below. There could be some more significant changes behind the scenes, but the contact cards are the headliner for now. We'll update if anything else comes up. 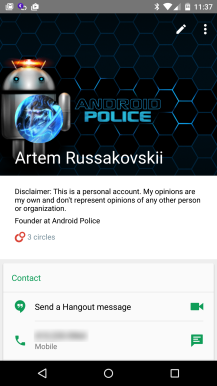 Use the APK Mirror link at the bottom to grab the update.